This soup recipe has been sponsored but all opinions expressed here are my own. Fall is one of my favorite times of year for making soup. So many different vegetables and fruits come into season in the fall that go perfectly in a bowl of soup. Some of the more common ones like potatoes and carrots of course come to mind. But you can also create delicious soups with pumpkins, apples, pears and cauliflower, all of which come into season as the weather cools off. Soup is also very versatile. You can serve a cold soup as an appetizer or a cream based warm soup as a meal in itself. If you are busy, you can throw soup into your slow cooker in the morning or make a cold soup up the night before and just pull out of the refrigerator when you get home to serve your family. As I scoured the web looking for creative soup recipes, I created a collection on Foodie.com to show off some of my favorites! One food I am always excited about when fall rolls around is pears. I love the smell and the flavor of a deliciously ripe pear when the weather is cool. 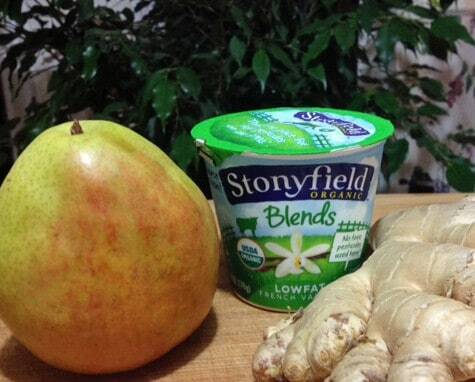 Ginger is a great flavor to combine with pears and it has several medicinal uses as well. It is great for treating stomach ailments, reducing inflammation, cleansing the lymph system and improving immunity. 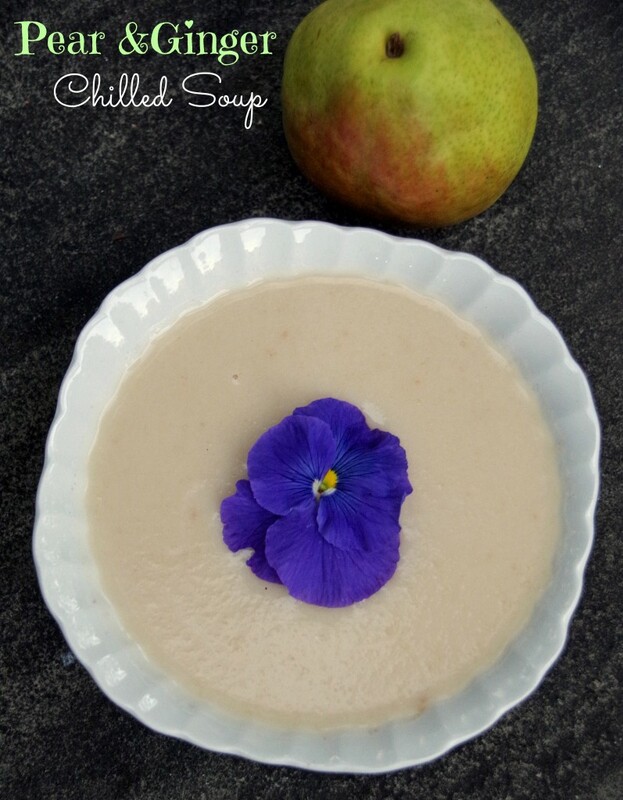 The combination of pears AND ginger in this chilled soup recipe means that you get a dish that is both tasty and healthy! Place chopped pears, ginger, and apple juice into a medium sauce pan. Heat over medium until apple sauce is simmering and cover with lid. Cook for 30 minutes or until pears are very soft. Process in a blender or food processor until smooth. Place back in pot and add yogurt. Stir until smooth. Pour into bowls and sprinkle with seeds, nuts, flowers or mint if desired. I chose to use Stonyfield organic vanilla yogurt in this soup recipe. It is creamy and lightly sweet and was a wonderful addition to this chilled soup. If you are looking for a soup recipe to serve this fall, I hope you give this one a try! YUMMM... this sounds and looks delicious. I love pears and this would be a great dinner idea, I may add some Parmesan crusted bread and call it the night. Thanks for sharing and need to check out all the other delicious soups, too. I tend to make savory soups and stews. This is a recipe I have not seen before and am intrigued by! This soup flavor combo sounds really good. I might have to try your recipe. Everything about this soup is new to me- a chilled soup, like a gazpacho? (sp?) And the ginger pear? It's so different I have to try it, you have intrigued my tastebuds! This sounds delicious! This is a great way for me to get out of my cooking rut because it's so different than what I usually make, and I'm sure that it will be a hit with my family.